부에노스 아이레스(Buenos Aires) 시내에 위치한 Mundial은 오렌지색과 화이트로 현대적으로 꾸민 객실을 제공합니다. 이 호텔은 7월 9일 거리(9 de Julho Avenue)에서 2블록 떨어져 있습니다. 레스토랑과 부티크 상점으로 둘러싸인 이 호텔에서 콜론 극장(Colon Theatre)은 1km 거리에 있습니다. 최근에 새로 단장된 Hotel Mundial의 객실에는 에어컨이 완비되어 있으며, 시내를 조망할 수 있는 전용 발코니가 있습니다. 전 객실에 케이블 TV, 무료 Wi-Fi 인터넷 및 책상이 제공됩니다. 매일 제철 과일, 천연 주스, 갓 구운 페이스트리 등이 포함된 조식 뷔페를 드실 수 있습니다. 이 호텔은 중심부에 위치해 다양한 현지 음식점, 술집, 유흥 시설을 즐기실 수 있습니다. Hotel Mundial에서 리마 지하철역(Lima Subway Station)은 200m, 7월 9일 거리는 400m 각각 떨어져 있습니다. 또한, 부에노스 아이레스의 상징인 오벨리스크(Obelisk)는 6블록 거리에 있습니다. It is an old hotel for sure, but everything in the historic centre of Lima is old. The breakfast is simple but nice except the scrambled eggs were too salty. Close to SAN Martin square and the walking street. Very busy at night! So feel quite safe! 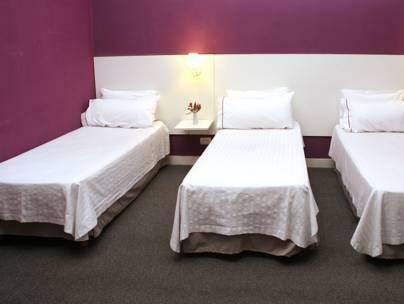 Hotel is centrally located and public transport is aplenty in the area. 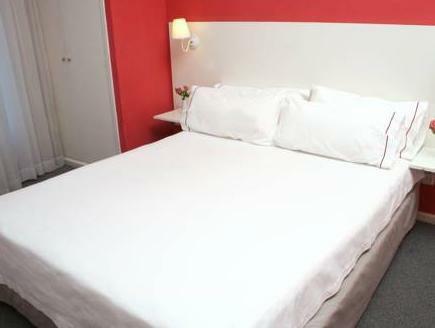 Although already old, the hotel made the "oldness" charming and place/room were clean. Breakfast was great! Staff spoke sufficient English and selected some were approachable. Even though I liked this Hotel, I cannot recommend anyone stay here. the hotel was clean and the room had a balcony over looking the street. the staff were friendly and helpfull and spoke english. i was disappointed with the breakfast it was very basic. when we arrived for breakfast most of the food had already gone and know one was topping anything up. all rooms have street view, some with nice big balconies. single rooms are tiny. located on major avenue. clientele mostly brazilian, spanish latinos, younger gringos and people looking for inexpensive hostelry. for those who have been shlepping around south america on the cheap with their backpacks, the mundial will be the lap of luxury. for all others, spend a little more and you can get something nice. although the mundial is a clean and viable place to stay, buenos aires is one of the world's better cities for hotel options. I was very disappointed with this hotel. The room was really stale smelling, the bed did not look like it had been made freshly, every day it looked very untidy, the carpet never got vacuumed. There wasn´t one hangar for clothes, the fridge did not close properly, thus no drinks were cold. I like the old building with high ceiling. Location's perfect both for business and sightseeing. 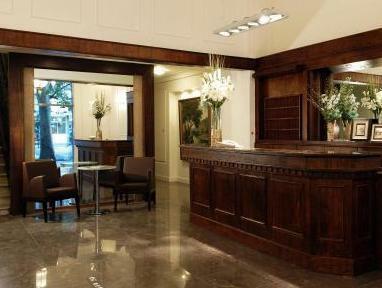 The hotel is located in the center of Buenos Aires, on one of the main streets. Easy access by bus and subway. Staff is helpful. The breakfast was good and sufficient. The hotel has a style, with high ceilings. Would stay there again. Das Hotel liegt super, um die Stadt kennen lernen zu können und hat einen angemessenen Preis. Das Personal war freundlich und hilfbereit. Das Zimmer, die Einrichtung und das Restliche Hotel könnte etwas mehr Pflege vertragen. Beim Frühstück darf man nicht zu viel erwarten. Es ist aber für den Preis angemessen. Hotel empfehlenswert fuer diejenigen, die sich mit einer einfachen, aber sauberen, Zimmerausstattung begnuegen und sich nicht am Strassenlaerm stoeren. 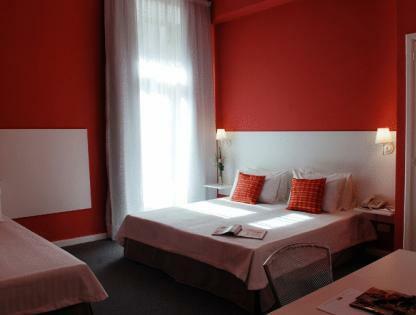 Hotel liegt ideal im Microcentro. Das Hotelpersonal ist freundlich und hilfsbereit. El desayuno, la ubicación céntrica y la decoración de época. Fue una estadía buena, a pesar de tener problemas con el room service y una atención un poco escueta. Todo esto le restó puntaje a nuestra anterior estadía en dicho Hotel. Tuvimos problemas con la habitacion asignada, nos cambiaron dos veces y luego tuvimos una falla con la lampara de velador que estaba mal colocada . No tiene caja de seguridad.Barrio algo oscuro para las noches. 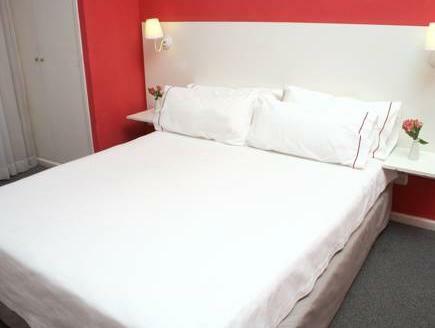 Trevligt, om än lite slitet, hotell nära centrum i Buenos Aires. Fick ett ljust charmigt annorlunda hörnrum. En trevligt frukostmatsal, stor och rymlig. Personalen pratar bra engelska. Månar om sina gäster genom att be dem fylla i en utvärdering. Egen taxiservice till flygplatserna till bra priser.